There are many applications where pipes carrying chemical fluids (alkaline or acidic) or that are exposed to high temperatures need to be plugged or sealed. 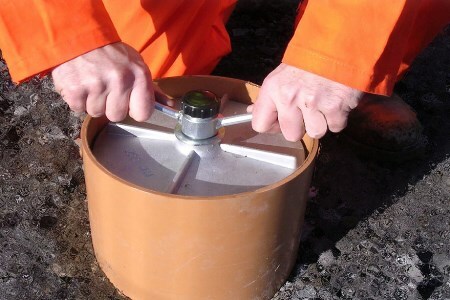 The Pipestoppers® Division at Huntingdon Fusion Techniques HFT® manufacture a range of heavy-duty aluminium plugs to allow for arduous duties such as exposure to high temperatures and immersion in chemicals, in sizes 1.5 to 36 in. (38 - 900 mm). Available up to 36 in. (900 mm) diameter, these lightweight but heavy-duty plugs are manufactured with a friction-free washer to ease tightening of the ring nut to expand the rubber ring to make a completely leak tight seal. In addition, because the plugs are neutrally buoyant they can also be used in subsea environments. The standard natural rubber seal can be replaced with silicone, nitrile, neoprene or Viton rings to ensure they can be used for applications where greater resistance to a variety of materials is required, allowing for use at temperatures up to 350°C (662°F). The Pipestoppers aluminium plug range, which starts at 1.5 in. (37 mm) diameter, has a wide variety of other applications throughout sewage and drainage systems, ducting and conduit, swimming pools, boating, shipping, offshore applications and so on. The plugs are also used to seal and protect tanks, vessels and containers during cleaning and transportation, particularly when they are pressurised with inert gas. All plugs conform to British Standards BS8005 and BS EN752-4 for low pressure testing and sealing of pipes. Other plugs and stoppers in the Pipestoppers division include nylon and steel mechanical versions for low, medium and high pressure stopping requirements and Inflatable Stoppers that can be transported anywhere at low cost, quickly and easily for a number of low pressure and medium pressure plugging and stopping.